I was fortunate to have an op/ed piece published in yesterday’s San Diego Union Tribune about helping veterans make the transition to life sciences careers, and I have reposted it below. You can also read it here. A healthy economy should provide opportunities for workers at all skill levels and at all stages of career development. This includes the brave men and women of the military who have sacrificed so much for this country over more than a decade of war and global conflict. American industry values workers who are at their best under pressure. These are the kind of people who can help a company grow and succeed. And with the population of U.S. military veterans expected to rise by another 1 million over the next several years, we have a great asset before us ready to be unlocked to benefit the American economy. This is particularly important in San Diego, one of the largest military cities in the United States — and the number one destination for veterans returning from Iraq and Afghanistan. 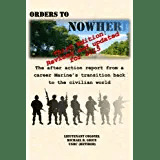 Unfortunately the transition back to civilian life can be difficult — particularly when it comes to re-entering the workforce, or in some cases entering it for the first time. Some veterans experience difficulty translating their military experience to civilian work. Others need guidance on job search skills like creating a resume and being prepared for interviews. The good news: some of our fastest growing industries are in the best position to use the skills of returning military veterans. This includes the medical technology and biotechnology fields — both of which are experiencing spectacular growth and demand for new workers. One newly expanded initiative, called the MedTech and BioTech Veterans Program (MVP), was created specifically to connect companies in these industries with the workforce of military veterans. MVP provides returning veterans with the resources, skills and confidence they need to achieve fulfilling careers in these fields, while also ensuring that potential employers have a diverse pool of talented employees from which to hire. These jobs — such as project managers, supply chain experts and human resources managers — don’t require an advanced STEM degree. But they do require a strong work ethic. People who can be part of a team, or lead one. People who make good decisions, while also being flexible. And people who — under some of the most difficult conditions you could imagine — are effective in new and different environments. These qualities describe the successful American veteran. In San Diego more than 240,000 veterans make up 13 percent of the city’s population. Close to 30,000 of them served in either Iraq or Afghanistan. Veterans in San Diego — compared to the national average — also generally attain a higher level of education. A full 35 percent of San Diego area veterans hold a bachelor’s degree or higher; and 43 percent have at least some college experience or an associate degree. As a veteran who has served overseas in a number of conflicts — including multiple tours in Iraq and Afghanistan — I understand the unique challenges that accompany the transition back to civilian life. These challenges are even more pronounced for younger veterans, many who have served this country in uniform for their entire adult lives and are accustomed to the formal, hierarchical structure of the military. I’ve been at the receiving end of opportunities that have made it easier to successfully transition back to the civilian workforce. MVP seeks to ensure that returning military veterans have those same opportunities. In San Diego on Saturday, MVP and Illumina will conduct a daylong, free event that includes seminars, working groups, and networking for mentors and veterans. Since its inception in 2010, MVP has grown to include more than 150 veterans and 80 mentors through a program of active mentorship, job search training, and industry specific education. In 2013 MVP’s founders recognized that it had the potential to grow from a regional initiative to a much larger national effort. As a result, MVP has now become an independent nonprofit entity charged with bringing 5,000 veterans into the life sciences industry by 2018, and 1,000 veterans per year after that — all funded by participating companies in the industry and at no cost to veterans. More companies need to join this initiative. And other industries need to follow suit and begin making similar connections with the veteran workforce. Our economy will be stronger as we bring more veterans into the fold. Let’s give them that opportunity.